When we perceive two inwardly connected things as separate and distinct in terms of the usual laws of cause and effect we are perceiving a duality - a split created by us not having the wisdom to perceive the true inner workings and cause that lies hidden behind it all. When we step further into the play and side with or identify with one thing over another, or judge that one thing is better than another, we start to deepen the split by adding emotional resistance. Quite simple at first, this emotional resistance is just preference. For instance we might learn in early life that clever and stupid are two things that seem to be in opposition. Being clever ourselves gets us noticed and praised in early life, whereas being stupid is patronised and criticised (or the other way around). So we side with being clever and as a consequence we might try to create a clever persona, which as we become more entrenched emotionally, denies our ability to be stupid at all times. Stupid is not us, but it has to exist somewhere so we can perceive our relative cleverness and so gets projected onto others, or the environment, or indeed our own bodies when they are clumsy or misbehave. The split can appear as self-criticism; if you think about this common phrase, there needs to be a criticiser and a criticsed and both exist as inner parts of us. In general we are a mass of dualities all created in a similar way. Many have been created before we were even conceived and are connected to ancestral dualities - the habits and beliefs of the civilisation in which we live. All "civilised" peoples create a split between the animal: the instinctual nature, and the so called civilised human nature. Only some animal behaviour is permitted within civilisation, and the rest is banished, split off, "not us," or not what we usually want to identify with even if we know it is us. Far from rending those traits inactive, they are given more creative power due to the suppression involved in the split. (This inevitable psychological law is of course completely missed by almost everyone). The intensity of the resulting feelings of guilt and shame and the tension involved in keeping the animal at bay for most people are too much to bear and naturally lead to behaviour which "lets off steam" or loosens "inhibitions" on a frequent basis. Unreal personas abound everywhere. When we have created a duality, not only do we project the opposite polarity, we also help to create it. We help push others into those roles. Arnold Mindell, who started his modality of Process Oriented Psychology from the perspective of a Jungian Analyst, calls this phenomena Dreaming Up. When we suppress something we start to dream of those attributes in a personified way and the same types of dream figures are pushed onto others in the world. Carl Jung adequately explains the nature of the opposites in many of his later works, the pinnacle being his greatest work and an interpretation of alchemy - Mysterium Coniunctionis - the mystery of the conjoining of opposites. Even from early in his writings Jung talks of archetypes, which are blueprints for specific behaviour patterns. These archetypes are formed from sets of polarities within dualities and are akin to people in our night-time dreams. The polarities an archetype contains tend to create a coherent group, for example, the hero archetype - he can only have certain traits, though they be many. He is chivilrous, kind, courageous, humble, altruistic and so on. One of his polar opposites, a constellation of the denied opposite ends of those dualities, would be the Dark Lord (or Dark Queen) of fairy tales and myths. He is treacherous, power hungry, devious, vain, selfish and so on. The Dark Lord's weasley helper is another opposite: snivelling, cowardly, whining, begging, eager to please his master. All traits which are seen as "bad" and disowned by the hero. The other opposing polarity to the masculine energy of the hero is the damsel in distress. Anyone identified strongly with the hero will find it difficult to play any other roles due to the compulsiveness of resistance. So the whole story is full of the various dualities but has the advantage over plain definitions in showing us how they typically constellate with other dualities and how they play out in life. These archetypal energies are extremely compulsive in their drive to be played out in the outer life. The denied animal instincts create an umbrella archetype that Jung calls The Shadow. The Shadow as it is created from suppressed traits is pushed more and more into it's basic archetypal nature, which is crude, lustful, greedy, selfish, lude, dirty, irrational, territorial, violent and more. The denial and constant suppression takes away a lot of our life energy, our connection to the world and our presence in it. At an extreme it could leave us wondering if we have the right to create anything or take anything for ourselves to survive, or manifest as a compulsive cleanliness, prudiness, non-sexual-ness, or a total disgust and embarrassment at the oozing, smelly workings of the body. It also projects and constellates those uncivilised animal traits onto others, perhaps other nations, and fears them, feels disturbed, righteous and judgemental that "they should not behave that way." Such denial of the inner nature will lead in some to so called "spiritual" philosophies based solely and exclusively on "love and light," and an unwillingness to look at anything "dark" (read: Shadow). Eventually the "other" may be hated so much that he is imprisoned, sectioned, warred against, all in an attempt to obliterate, or bring under control, the denied "evil" inner traits. 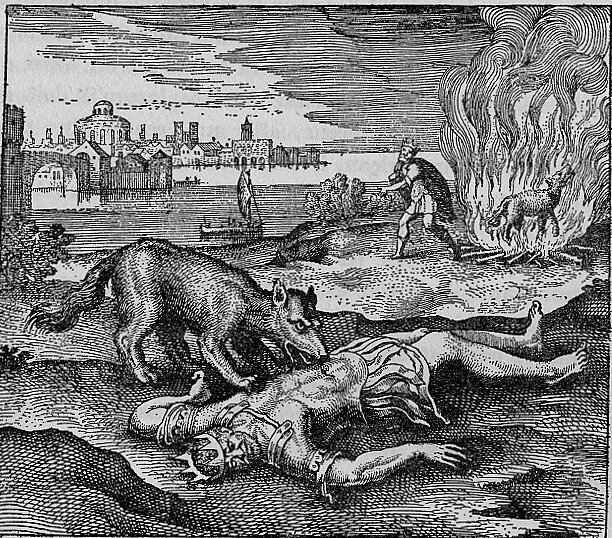 In the picture from the early 17th Century work Atalanta Fugiens, the instinctual wolf has killed and is eating the King, or controlling human consciousness of the personality. This denied animal eats away at all of us inside. The picture goes further though, that in the background another wolf is subject to the inner transmuting fire and the corresponding King walks free. When killing or running from the opposite yields no permanent result, and how could it as it is continually being created by our own one-sidedness, we drop further into despair and apathy and eventually numbness. At some point along this downward slope the encroaching numbness with its lack of self-awareness, leads us to not notice that we ourselves are becoming the despised and feared opposite polarity. And so you get the people who stand out to the more conscious as being completely incongruent, stating on the one hand perhaps that they are peace loving and on the other that they would like to kill anyone who isn't. For most of us, it is only when we start to realise that the opposite polarities keep appearing for us, that we cannot remove them forever from our lives, that we start to turn inwards to start the trek to the real cause of what we are experiencing: Ourselves. At that point a few start the search for tools or principles to help them to uncover the truth inside, the truth of what has been denied, in all its shrouded complexity. Duality is a term more familiar to Eastern philosophies than Western. 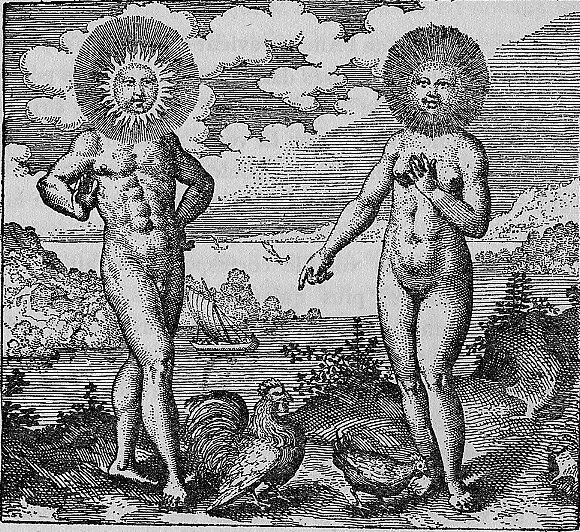 In Europe, the ancient alchemical texts depicted opposites, which describes the same phenomena. 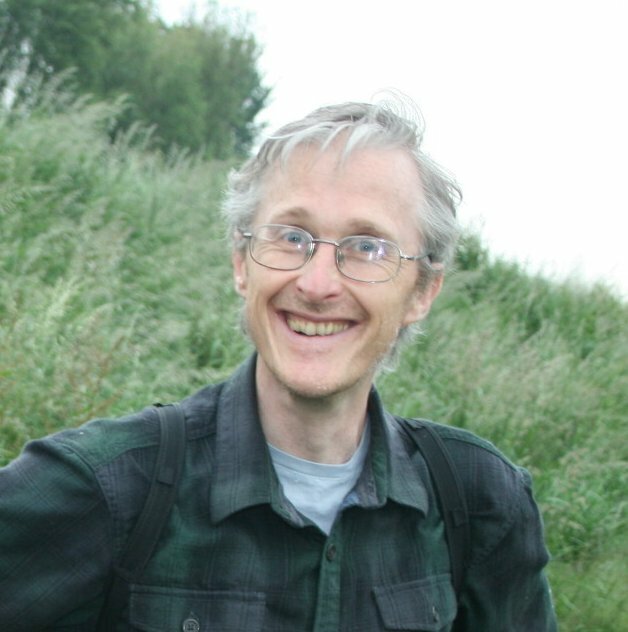 John Ray emphasised that the goal of any work done in body electronics is the encompassment of duality.